"The Science is Scuttled" – NASA climate page, suckered by IPCC, deletes their own 'moved up' glacier melting date reference | Watts Up With That? Here’s the NASA Climate Change “evidence” page where they list a series of visual earth topics that support AGW as factual. In the sidebar they have heavy reference on IPCC AR4. Yellow highlight mine. Note not only did they cite the now famous false glacier melting alarm from IPCC AR4, they moved it up five years to 2030! A big hat tip to WUWT reader “Jaymam” for spotting this. I wonder how many other pages are now going to start seeing IPCC references disappearing? As the article mentions, at the same time, a bunch of celebs were on top of Kilimanjaro crying for the ice. h/t to Andrew Orlowski of the Register. January 23, 2010 in IPCC. The Science is Scuttled! That is actually pretty damn witty. Do you have a headline writer? Well, props to whoever came up with that, it is a gem! Note not only did they cite the now famous false glacier melting alarm from IPCC AR4, they moved it up five years to 2030! That’ll be the value added data. Another thing. As fast as this happened, I can scarcely restrain the 1984 reference, but I will. It is nice to see that they have the staff to micromanage these citation problems. Now if only they could use such prompt and economic attention on maintaining a record of the actual temperature competently. And by this I mean fixing the problem not the measurement. It’s unravelling faster than a ball of wool in the paws of a kitten. Yeah, the falsified science data that Gore, the UN, Obama, Green Peace and WWF have been bellyaching about isn’t too important now that’s it’s not quite true. So what if children have been frightened by puffy faced Gore? Who cares that the UN rubs their collective hands together like creepy Saturday morning cartoon villains, thinking up how they can conspire to dupe the global masses to cough up more money. Aha! Carbon taxing. Bwaaaa hhaaa haaa… we’ll tax everything they do while we jet around the world and keep laughing like this Bwww haaaa haaa. Why? Because the media is complicit, the masses are stupid and we can pay unethical scientists wads of cash to lie. Sure, this climate scandal is only a few decades in the making, a con of massive proportion, a crime of politics and activism in science… science children have been propagandized in classrooms to believe, science that we’ve been told to not question: The debate is closed! But Brad and Angelina breaking up – well, that affects us all. This process of continuous alteration was applied not only to newspapers, but to books, periodicals, pamphlets, posters, leaflets, films, sound tracks, cartoons, photographs-to every kind of literature or documentation which might conceivably hold any political or ideological significance. Day by day and almost minute by minute the past was brought up to date. En this way every prediction made by the Party could be shown by documentary evidence to have been correct; nor was any item of news, or any expression of opinion, which conflicted with the needs of the moment, ever allowed to remain on record. All history was a palimpsest, scraped clean and reinscribed exactly as often as was necessary. In no case would it have been possible, once the deed was done, to prove that any falsification had taken place. But this is how science is done. Small but inconsequential errors are found by other scientists (not blogs or other heathen forums) and the offending statement/evidence is then quietly withdrawn without any fuss and bother. No need to make a song and dance its been fixed, move along. Good to see the process working smoothly and not diluting the main message. Here I was led to believe that the great global warming consensus was based on peer reviewed science. Thanks Al Gore for inventing the interweby thing. I know they are trying to say the rate of change has increased in the last 50 years but doesn’t this give the impression of greater absolute temperature increase than it should? Their funding needs to be pulled. Actually The Register scooped you 3-4 days ago. That would be an interesting FOI request — how about a request for a record of all update/corrections to their climate change related web pages. Want to bet they are keeping no record of page updates/corrections. NASA, IPCC and here in Australia the CSIRO are all “scuttled” Hoisted on their own petards are these poor excuses for scientific organisations. With the Rudd government poised to reintroduce an emissions trading scheme on the basis of “settled science” Australia is in danger of becoming the laughing stock of the globe. Those in the know are waiting with bated breath for Jonathan Leake’s next expose on Hideyourajendra Pachauri. Some are even taking bets on what will happen first, Pachauri’s resignation or Al Gore handing back his Nobel prize. What a joke this has become! NASA is a snakepit bent on poisoning our children and our legacy… It’s time to clean house. If you care to check back an article or two Michael you will find hundreds of comments on this NASA report. The credibility has been blown on any “organised” scientific reports by The IPCC, CRU, and NASA GISS. So now it’s 2030. There should be a law against such fear mongering without any evidence to even partly substantiate the claim. Come to think about it, there might be. Worth investigating. Yep, switched to all italics for quotes because I am getting lazy in my old age. I think that I shall quote… Jon Stewart. “Debunked via the very internet you invented!” Or something like that. The temperature of the mid-troposphere (centered at around 4 to 6 km above us) has remained neatly constant for these 30+ years, if we believe in the UAH/NASA data. And the Himalayan glaciers exist just at these heights, as I learned in the geography class more than 40 years ago. Hence no reason for the glaciers to be melting away rapidly, except for, probably, due to the albedo-lowering black soot released from burning woods and/or low-quality coals in the area concerned. I’ve read somewhere that the IPCC will release their next major report in 2013. I can already imagine what they will be saying to scare us again. Before they even get a chance to publish it, we should make sure the IPCC is totally discredited and replaced with a real alternative. The Department of Climate Change (DCC) operates as the National Focal Point for IPCC activities and is inviting Australian experts to nominate for Coordinating Lead Author, Lead Author and Review Editor roles. Interested parties are requested to read the background information and email climatescience(at)climatechange.gov.au for an Australian Government nomination form. This form will require interested parties to detail their qualifications, areas of expertise, recent publications and contact information. The Australian Government will select nominees to put forward to the IPCC based on selection criteria that will be provided to interested parties. The IPCC Bureau will then select these positions. The Assessment Report will be developed from 2010 to 2014 and the task of authors is a demanding one. Authors will need to have the available time to attend a likely 5 international author meetings and prepare their designated section of work. Subject to ministerial approval, successful nominees will be provided with grants to support travel and living expenses when attending IPCC meetings. Funding will not cover costs associated with nominees’ regular professional engagements such as salaries. Department of Climate Change nominations close on 19 February 2010, to allow for IPCC nominations to be submitted by 12 March 2010. Completed nomination forms should be emailed to climatescience (at) climatechange.gov.au. Heard it snowed on the Kilimandjaro this year. Were it not for the UEA whistleblower, by this time we would have had an announcement from the IPCC that the Haiti earthquake was due to anthropogenic global warming. Our debt to the whistleblower is such as can never be repaid. When you accuse a person in the court and you’re proven wrong then you go to jail for many reasons which you all know. How come NASA .. IPCC accuses all humanity for ruining this planet and when proven wrong they come up with a new accusation using their fake predictions. There’s many reasons why they should go to jail. Do we have cached web pages of ALL the bits of informtion that go into the IPCC report and a copy of the report itself? I don’t know if its possible to set up a program to digitally check for changes? If not, perhaps readers here could volunteer to do a check on a chapter/subject they have knowledge of every month. I would offer to do that for sea level changes. In my opinion this section is more scandalous and flawed than the hockey stick itself. It is based on a tiny number of tide gauges heavily interpolated to extend the record. Basically much of the data and suppositions are invented and the report tacitly admits this at the very end of the chapter. Margaret, thank you for that link… veeeeerrrry interesting! Politics makes strange debunk buddies. Please, move along now… that’s right. Now that’s truly an inconvenient truth. When a body of lies gets too big, the implosion is not a pretty sight – and it can’t be stopped. This very long comment can be summarized simply as “I have had multiple exchanges with NASA trying to get them to correct multiple errors in their webpages. Several of their “corrections” were themselves in error. NASA gives the impression that they don’t think they have a problem in regards to the accuracy of the information they disseminate. I have a pending appeal regarding their review system, and regarding the reliability of CRU data. I have had an ongoing correspondence since August with NASA about both the Key Indicators and Evidence pages you can select from the left sidebar of climate.nasa.gov. 1. the main page climate.nasa.gov now has a little box towards upper left that says Arctic Sea Ice -34% long term summer average. This used to say “-38% per decade”. -38% per decade is clearly wrong. -34% is about right for the month of September from 1979 to 2009, but “summer” is more like -25%. I have an appeal currently being reviewed by NASA on this item. 2. Key Indictors page, sea level. They used to have a historical graph with a trendline drawn that didn’t correspond to the caption. The graph on satellite record was incorrect. Both graphs have been changed and the references were change. After I made an informal request for correction, the update date was change to 7.51.09 and stayed set to July 51st for a couple of months. 3. Arctic Sea Ice Graphs — these have gone through several changes. For a while they had a graph with numbers appropriate for millions of sq km, but had a label of sq miles. One version of correction had a graph of ice area, but had it labeled as extent. They have had other versions that confused the daily minimum and the September average. They originally had a very scary graph of Greenland that showed how many days of melt there were in each area, but provided no context to show how things were changing, if at all. 4. Global Average Temperature Graph — they used to have their own internally drawn version of the CRU graphic. It had data through 2008, but with an legend that said latest data May 2008. Even worse, they had gone in and drawn a perfectly flat line for the last couple of years rather than plotting the actual smoothed data supplied by CRU. My Request For Correction inquired as to both the smoothing algorithm and the end point treatment. NASA finally responded in early December, saying that it was a 21 point Binomial filter. It is not. If you follow the reference to the Met Office you can see a different graph of the same data, but with the 21 point binomial filter, which is about a 10 year smooth. The CRU graph appears to use a 20 year smoothing algorithm (The CRU reference refers to a 10 year gaussian smooth — 13 point IIRC –, but in personal correspondence Phil Jones told me in Fall 2009 that the graph appears to be their standard 20 year gaussian smooth. Clarification of this is part of my still pending appeal per Quality of Info regulations. My appeal also asks for independent review of this data since it is a highly influential scientific product that NASAs own Quality of Info regs say must have additional, more stringent review. NASA has not responded to my December 7th appeal regarding this, and although I sent an e-mail to NASA on Jan 17th reminding them of the 30 working day deadline, NASA has failed to respond in any manner to my e-mail of a week ago. Until the Himalaya glacier thing gained prominence a couple of weeks ago, I had not looked at the “evidence” page — climate.nasa.gov/evidence . I was somewhat surprised to see the 2030 date and sent in a feedback via the web feedback form. I also posted this to several blogs requesting that others submit their feedback. I had also copied my comments about the NASA 2030 date to the NASA HQ person handling my appeal of their response to my August 15 request-for-correction. This was in a January 15th email. On January 19th I received back an e-mail from the webpage owner saying “Thank you for pointing out this error. Several other readers caught it as well, and it has now been corrected. Meanwhile, another portion of my December 7th 2009 appeal was that NASA rejected my assertion that they have an inadequate content generation and proofing system for the climate pages. I requested that they do a systematic review of their system with the goal of minimizing future errors. I am still awaiting a response. I have not looked at the other pages on the left sidebar of climate.nasa.gov , such as “causes”, and “effects”, and “Uncertainties”, and “Solutions”. I invite other readers to take a look. Based on my experience with the other pages, there are problem several errors that need correcting. Most pages have a feedback link for the Site Manager at the bottom of the page. Steve McIntyre’s efforts to use FOIA requests to the CRU were indirectly my inspiration for the above actions. There are a series of regulations called Quality of Information Guidelines. This is separate and distinct from the FOI laws. They all are based upon Public Law 515. The OMB then issued guidelines direction various federal agencies to issue their own regulations. NASA’s guidelines can be found at http://www.sti.nasa.gov/qualinfo.html. NOAA has its own set of guidelines, as does its parent organization, the Dept of Commerce. Above all of this the OMB has guidelines regarding peer review of influential and highly influential scientific information that is disseminated by by federal agencies. It appears the Quality of Info procedure is rarely used. NASA has failed to comply with their own regulations in simple adminstrative ways such as failing to notify me of my right to appeal. Indeed, they also failed to comply in that they never came back with any formal response at all. I do see the Q of I guidelines as potentially being a very useful tool in a quest to improve the quality of information and decisions in the climate science realm. Didn’t the inventor of the interwebby thing (And discoverer of the ManBearPig, 50% Man, 50% Bear, 50% Pig) say that the Arctic would be ice free in 5 years, sometime in 2007 or 2008? Will be interesting to see how much ice will be there in 2013. But even worse, if you read the actual report, this sound-bite is almost totally unsupported. The reports states quite clearly – time and again – that glacier shrinking started at the end of the Little Ice Age and that the majority of shrinkage occurred before the AGW era. There is discussion about rate of change of glacier length changing recently, but also discussion about how some glaciers have had lengthening periods within the AGW period – e.g. New Zealand Glaciers. Thanks to http://noconsensus.wordpress.com/2010/01/23/2634/#comments for pointing this out. In fact this was pointed out to Gavin at Real Climate and all he could say was that it was a mistake which was rectified. Himalayan glaciers melting due as much or more to soot as Co2 global warming. The implication is clearly that this is due to AGW. But I thought this had long ago been disproved and shown to be due to deforestation on the slopes of the volcano? Am I incorrect in this or is NASA again being misleading? Further to my link jerry (00:49:01) : I have dug up this text in the report body. Glacier changes are recognised as high-confident climate indicator and as a valuable element in early detection strategies within the international climate monitoring programmes (GCOS 2004, GTOS 2008). Fluctuations of a glacier, which are not influenced by thick debris covers, calving or surge instabilities, are a reaction to climatic forcing. Thereby, the glacier length change (i.e., the advance or retreat) is the indirect, delayed, filtered but also enhanced signal to a change in climate, whereas the glacier mass balance (i.e., the change in thickness/volume) is the direct and un-delayed response to the annual atmospheric conditions (Haeberli and Hoelzle 1995). The mass balance variability of glaciers is well correlated over distances of several hundred kilometres and with air temperature (Lliboutry 1974, Schöner et al. 2000, Greene 2005). However, the glacier mass balance change provides an integrative climatic signal and the quantitative attribution of the forcing to individual meteorological parameters is not straight forward. The energy and mass balance at the glacier surface is influenced by changes in atmospheric conditions (e.g., solar radiation, air temperature, precipitation, wind, cloudiness). Air temperature thereby plays a predominant role as it is related to the radiation balance, turbulent heat exchange and solid/liquid precipitation ratio (Kuhn 1981, Ohmura 2001). The climatic sensitivity of a glacier not only depends on regional climate variability but also on local topographic effects and the distribution of the glacier area with elevation, which can result in two adjacent glaciers featuring different specific mass balance responses (Kuhn et al., 1985). As a consequence, the glacier sensitivity to a climatic change is much related to the climate regime in which the ice is located. The mass balance of temperate glaciers in the mid-latitudes is mainly dependent on winter precipitation, summer temperature and summer snow falls (temporally reducing the melt due to the increased albedo; Kuhn et al. 1999). In contrast, the glaciers in the low-latitudes, where ablation occurs throughout the year and multiple accumulation seasons exist, are strongly influenced by variations in atmospheric moisture content which affects incoming solar radiation, precipitation and albedo, atmospheric longwave emission, and sublimation (Wagnon et al. 2001, Kaser and Osmaston 2002). In the Himalaya, influenced by the monsoon, most of the accumulation and ablation occurs during the summer (Ageta and Fujita 1996, Fujita and Ageta 2000). Cold glaciers in high altitude and the polar regions can receive accumulation in any season (Chinn 1985). As described in the text, strongly diverse mass balance characteristics also exist between glaciers under dry-continental conditions and in maritime regions. As a consequence, analytical or numerical modelling is needed to quantify the above mentioned topographic effects as well as to attribute the glacier mass changes to individual meteorological or climate parameters (e.g., Kuhn 1981, Oerlemans 2001). Modelling is further needed in combination with measured and reconstructed glacier front variations, to compare the present mass changes with the (pre-) industrial variability (e.g. Haeberli and Holzhauser 2003). As a consequence, analytical or numerical modelling is needed to quantify the above mentioned topographic effects as well as to attribute the glacier mass changes to individual meteorological or climate parameters (e.g., Kuhn 1981, Oerlemans 2001). Modelling is further needed in combination with measured and reconstructed glacier front variations, to compare the present mass changes with the (pre-) industrial variability (e.g. Haeberli and Holzhauser 2003). The last part is in the class of “they would say that wouldn’t they” – after all this is funded work. I am getting sick of these false and clearly exaggerated claims. It’s about time we made a few of our own. Withing 10 years we will see the river Thames freeze over in winter. If it happens do I get Al Gores Nobel Prize? But they did it the other way around. This looks like they said global warming is caused by natural disasters? Come on chaps – you shouldn’t be criticising all the climate scientists, because weather is a difficult subject. A letter to the Sunday Telegraph from Professor Paul Hardaker, CEO of the Royal Meteorological Society, commenting on Christopher Booker’s criticisms of met office forecasting performance says “These forecasts have been of extremely high quality, given the challenging nature of the weather”. Sounds like we are going to get a lot of PR in the future about how hard it is being a weather forecaster (sorry -should that be climate scientist or am I getting climate and weather mixed up?). I guess the galciers are just going to sheepishly grow back now that j00 guise have uncovered teh IPCC telling teh liez! Damn nature, always trying to push a warmist bias down the throats of weeze sceptics!!! and select the cached version in the search results. Note there is a blank after the URL-name. There you are – this just proves the point how skeptics create unnecessary work for hardworking scientists by demanding that they be accountable for the accuracy of “the science”! Wow, Charlie A strong stuff. Good for you – an innovative way to keep public entities honest in their claims. Yes it was your excellent joke. I quoted it on the previous thread and credited the Christopher Booker article comments. Excellent joke from the comments on Christopher Booker’s article (see above). Perhaps Fred was in charge of the IPCC report proof reading. to update this and deprogram our kids…Right? TonyB (00:24:01) : I don’t know if its possible to set up a program to digitally check for changes? The built in tools let you do so many thing with just a few keystrokes even if you never thought you would need to do it. So, to compare two things for a change, you do a “diff” for difference or “cmp” for binary comparison. To make this happen every day at a particular time you can use the “at” command to pick a time of day “at” which you wish the action to be taken. “diff filea fileb” gives as output the lines that have changed as filea turns into fileb. “cmp filea fileb” just says “they changed” if it happens. Interestingly, the NASA page still links the retreating Mt Klimanjaro snow cap with AGW. Didn’t the top Mt Klimanjaro scientist say recently the snow melt had something to do with the regional climate and not due to AGW? I haven’t got the time to search for it at the moment, but I wonder if anyone else remembers it. Can these people get anymore assinine? C’mon Santer, you gotta be embarassed about such a production. We’re gonna be replaying this a few years from now to embarass you all. Does that mean that Al Gore invented the seeds of his own downfall?? How apposite!! The language of the Nasa page is pure 1984 style propaganda. The way it is arranged, noting that they do not show the puny temperature changes or overlay the temperature changes on their CO2 graph shows that they do not want Joe Public to connect the dots. All inconvenient truths are omitted. And here is the list of all the calamities that Global Warming has caused. Pheww!! AGW is quite a problem, obviously. The sad thing is that so many politicians fell for it (or used it to their advantage). I remember when I was forced to leave Unix, and move over to Windows. It was terrible. But there were toolboxes, so you could do the same as on Mac’s, in DOS windows. You still can. Nowadays, in the .NET world you can do wonderful things using CSharp. String-handling is FANTASTIC. So is file handling. Its much, much better to write small CSharp programs doing what you want, than than those terrible, cryptic unix commands. Replaced? With a real alternative… may I ask why? There is no AGW, asking for this mob of conmen to be replaced is just asking for the next con to be created and launched upon a gullible world ready to swallow any lies to self-flagellate and punish themselves for living in the first world, and the hangers on of the third world to demand reparation. The shrinkage has been taking place since at least as far back as 1880. By 1953 for example the ice area had shrunk by 66% of what it was in 1880. “The observations described above point to a combination of factors other than warming air—chiefly a drying of the surrounding air that reduced accumulation and increased ablation—as responsible for the decline of the ice on Kilimanjaro since the first observations in the 1880s. 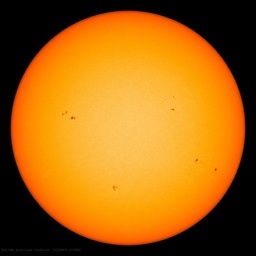 The mass balance is dominated by sublimation, which requires much more energy per unit mass than melting; this energy is supplied by solar radiation. These processes are fairly insensitive to temperature and hence to global warming”. “An additional clue about the pacing of ice loss comes from the water levels in nearby Lake Victoria. Long-term records and proxy evidence of lake levels indicate a substantial decline in regional precipitation at the end of the 19th century after some considerably wetter decades. Overall, the historical records available suggest that the large ice cap described by Victorian-era explorers was more likely the product of an unusually wet period than of cooler global temperatures”. ” If human-induced global warming has played any role in the shrinkage of Kilimanjaro’s ice, it could only have joined the game quite late, after the result was already clearly decided, acting at most as an accessory, influencing the outcome indirectly”. Wow, Itchy And Scratchy it ain’t. It’s so poor that it’s hard to see any child sitting through it unless they were soundly thrashed and made to. Could you ask the US EPA about the statement that methane is 21 times a more powerful greenhouse than CO2 which is cited to come from the IPCC 2nd assessment report? If one looks at the emission wavelength spectra that is nonsense. The wavelength lines for CH4 are much less than CO2 – by eye maybe one tenth. You say that public law 515 requires Federal Agencies to have quality of information guidelines. There is no quality of information in quoting the IPCC. I would ask if I was a US citizen. Your EPA is aiming to issue endangerment regulations on 6 greenhouse gases of which CO2 and CH4 are the major ones (according to them) but ignore water vapour. I believe there is a pending law suit about that but public action to necessary to blast the AGW alarmist out of all public offices. NASA stands for “Need Another Scientific Advisor”. More and more one appreciates the telling significance of Ken Briffa’s remark in one of the leaked e-mails to the effect that what is sound science and what the IPCC wants to hear are not always congruent. Briffa, by the way, seems to be the one major figure in this glorious brouhaha who has nothing to say. Don’t stop at deleting the reference to IPCC4 and the Himalyas, take the rotted corpse of AGW out back, dig a hole, and bury it. Better yet, make Jim dig the hole. I can only hope that NASA will smarten up before they get their budget slashed to the bone. Boot him out. NASA – once the spearhead of post-human enlightenment, now a bastion of misanthropic backwardness. (Or is it OT? Seems everything is about scandal in climate science today). CRU engaged in propoganda tactics and manipulation of public opinion. “In an e-mail dated 9 October 1997, Dr. Joseph Alcamo admonishes other members of the Jones Gang to forget credentials and just get signatures. For them, good science is when public opinion favours it. I believe the claim about greenhouse gas levels is false. Although there is a strong correlation between CO2 and temperature, the CO2 changes occur roughly 800 years after the temperature changes . This is because, as the oceans warm, they release more CO2 to the atmosphere. As far as I’m aware all high resolution ice core measurements confirm that CO2 changes are an effect and not a cause. If this is correct then this is another false claim by NASA. The NOAA web page makes the same false, and much more specific, claim relating to the ice core data. It even says something like: “As the CO2 goes up, the temperature goes up”, an almost perfect quote from Gore. Is that another way of Pachauri saying “Wild horses couldn’t drag me away” ? That hadn’t occurred to me, perhaps it’s a punishment. I want to see someone starting to draft ideas for the changes in legislation we are going to need, to break the vicious circle of Pavlovian slavering after the grant money for alarmist studies that bolster political kudos. Now that Joe Ordinary, aka WUWT, CA, and all the others, have enlarged the crack wide enough for public opinion to start tipping. Integrity Of Science Act? Anyone? Regarding the snows of Mt Klimanjaro. From news articles this year. (c)the use or threat is made for the purpose of advancing a political, religious or ideological cause. So when Al Gore seemingly encouraged the direct action taken against UK power generation, he perhaps should have been more cautious. This is also the law which enabled the UK government to seize cash and assets from Icelandic banks for threatening UK economic security. Carbon Trading and subsidies seem to me to have the same risks. The sections that may appeal to the government are the asset forfeiture and seizure laws, but there may be some negative PR if the WWF, Greenpeace or even Generation Investment Management are proscribed. The problem is that all of the claims and counter claims will not be proved, or otherwise, until we are all dead and gone. LOL…just follow the money for your next AGW fraudulent claim. Still making the alarmist case. Seems by that statement that glaciers retreating in the present tense only, a new phenomenon. New tactic. Forget telling lies, now lie by omission. Tell the truth NASA about the past, present and future. In fact, it is simply unstoppable unless we return to another ice age. “Disappearing” scientific adjectives being put back in the box. So if i understand this right they say it’s STRONGER when it stays LONGER in the atmosphere. Now that calms me down a lot because it means it’s not REALLY any stronger on a moment-for-moment base. Silly me, i should’ve known they just wanted to scare me with those impressive-looking made-up factors like 8, 21, 28. Kids: NEVER believe a number when it comes from climate scientists. NEVER. They’re ALWAYS made up. “His focus then shifted to the radiative effects of clouds on the climate. This was done using the Earth Radiation Budget Experiment (ERBE), which showed that clouds have a large cooling effect on the planet. ERBE was also able to measure the greenhouse effect without the use of climate models. Does this mean that the warmist movement had experimental data about the cooling effect of clouds all along and just didn’t use it in order not to endanger their meltdown models? Ramanathan must be ideologically O.K. for them, otherwise he wouldn’t have a page in the wikipedia. They just try to get away with whatever they do, they just ignore how flaky and self-contradictory all their own stuff is. That’s fair enough, Roger – I hadn’t seen it before, and as I used the term only yesterday, I just thought…. Anyway, it’s a bit of an obvious one, so it comes as no surprise somebody had come up with it before! A layer of greenhouse gases – primarily carbon dioxide, methane and nitrous oxide – act as a thermal blanket for the Earth, absorbing heat and warming the surface to a life-supporting average of 59 degrees Fahrenheit (15 degrees Celsius). Where are the trolls. Come on Benson et al, where are you? No snidey comment to make on your hero(s) being crooks? People of today will be surprised to learn that at the height of the UFO myth how many academics believed in UFOology. The same will be said of AGW in 20 years. The only real difference between UFOology and AGW is that more academics bought into it. I’m thinking of signing all of my posts and correspondence “Ellie Light” from now on. What does everybody think? Like Swan and Edison, spooky! “A layer of greenhouse gases – primarily carbon dioxide, methane and nitrous oxide – act as a thermal blanket for the Earth, absorbing heat and warming the surface to a life-supporting average of 59 degrees Fahrenheit (15 degrees Celsius)…”!? “F” for -not- including water vapor…. So, given all the icebergs that are ripping holes in the IPCC ship, how long will it be before this entire AGW/Climate Change scam goes down like the Titanic, and it’s perpetrators don’t get a seat in a lifeboat? What will the beneficiaries (Gov’t’s , investors, etc. )of carbon taxes, cap and trade, etc. do to convince us to give them a seat in the boat, instead of shoving their lying heads under the waves? I am wondering about the figure from NASA at http://climate.nasa.gov/evidence/ , showing that today’s CO2 levels, as compared to the maxima during the last 650,000 years, have doubled. I assume that the last 120 years of the CO2 record are reported by stations close to the related ice cores!? Or are those values from stations all around the globe, as for example the Mauna Kea station and not related to any ice or ice core? Although they are correct to delete lies from their publications, the unannounced way these things are done remind me of photographs of Kremlin members being periodically edited, depending upon who is in or out, in the USSR. Thank god Al Gore invented the internet to expose his own scam. WHERE IS THE NASA THAT PUT MEN ON THE MOON?! Siemens has answers how to protect the environment. Anthony, look what you (and your associates) have created. I got up early this a.m. to do some work and got sidetracked (willingly) into the post and comments: “The Science is Scuttled”. I am heartened by the increasing number of ideas of citizen protests through laws already on the books, potential law suits, and superb ridicule of the anti-West; anti-development; greedy ACTIVISTS masquerading as scientists or environmental do-gooders. More power to us all. It’s high time the pitchforks come out…. Still, still even as these manifold reports of IPCC and the climate data base manipulations unfold, still the fundamental causitive factor remains operative and even florishes. It is a view of the world which is profoundly anti-man. Of course this is based on solid science: AR4 2007 it’s 2035; post AR4 it’s worse than we thought, therefore it must in fact be 2030. Post glaciergate it becomes 2350. Are the modelS accurate, NOT according to proffessor Qin-Bin-Lu. Professor Lu, a path-breaking scientist in the field of ozone protection, made his CO2 discovery by accident — he was looking for culprits in the formation of the ozone hole over Antarctica. A chief suspect was CO2: Climate models produced by climatologists showed that CO2 would have devastating effects on the ozone layer, significantly enlarging the ozone hole over Antarctica and dramatically enlarging it over the Arctic. But when Dr. Lu compared the imagined output of the climate models with the actual measurements taken real-time by satellites and weather balloons, the THE MODELS TURNED OUT TO BE SOARING FAILURES. Dr Lu’s study is now published and the reviews he has received to date have been favourable but he may find himself writing a postscript in three year’s time. Like hundreds of other scientists around the world, Dr. Lu may have unwittingly relied on invalid data for a portion of his study. His real-time satellite and balloon data, which shows CO2 does not cause climate change, is not in dispute. NOT SO for the historical temperature data, on which he based his estimates of how much global cooling we face as Earth’s temperatures return to their historic pre-CFC levels. “My temperature data comes from the UK – the Climate Research Unit at East Anglia University,” he reveals when questioned. Note that5 the original GISS page showed them all melting by 2030. The original “speculative” remark to a journalist may have said 2035, or it may be another report which said 2350 with the digits accidentally transposed. This metamorphosised in the IPCC report to “2035 or even earlier” which in turn GISS took down to the nearest round number of 2030. This game of Chinese whispers is common across the alarmosphere where everybody quotes everybody else as a prime source & regularly misquotes them – always in the same direction. I cannot thank you all enough for keeping up the pressure. That is ‘Anthony and the Moderators’ and all the WUWT contributors readers both old and new. Let’s get this scam canned before it gets out of hand. With NASA’s high level of quality control, I am really, really glad I am not an astronaut!! Sure we do, we have observations of the glaciers on Mt Rainier going back to 1857 and actual measurements going back to 1931. Of course they don’t point to anything ‘unprecedented’ currently happening. The reduced snow pack on Mt. Kilimanjaro can be 100% accounted for by drought conditions. Drought is often mentioned on TV showing starving Africans… is the Mountain somehow exempt from the lack of precipitation ? If there is not adequate precipitation in freezing weather to restore the snow pack, the snow will continue to recede in the warm season. To assume the “shrinking” is from “warming” is to ignore other fundamental not related causes. These “scientists” need to get back to doing science, not propaganda. I hope the kids can recover from the lousy programming. If the IPCC’s mistaken prediction of disappearing Himalayan glaciers taught us anything, it’s that we should always source our information from peer reviewed scientific literature rather than media articles. Consequently, I’ve spent the weekend overhauling the list of positives and negatives of global warming so that all sources were peer reviewed. The list is by no means comprehensive and I welcome any comments mentioning other impacts of global warming found in peer reviewed papers (good or bad). Please include a link to either the abstract or if possible, the full paper. In my experience in academia, industry, and government these sorts of regulations are primarily used to harass people who do not have institutional political power. The people with the power can frequently ignore these rules unless there is transparency and independent outside auditing with the ability to punish infractions or “bottom line” market forces at work. This is the way the judicial system operates in China, for example. On paper it looks great. http://www.iceagenow.com if I remember correctly? has info on Growing glaciers Mt ranier and others in USA and worldwide, about time that! got some press! NZ too. I think Ian Plimers book also confirms it. There is one problem with the Raina report; Couldnt find a date in it…. Warmists sometimes dismiss contrary viewpoints by making the ridiculous assertion that skeptics claim there is a global conspiracy amongst 1000s of climate scientists. Both the strawman and the alleged conspiracy are absurd. However the fact that the Himalayan glacier boondoggle made it through a working group of dozens of scientists, and a review process that included many more, suggests large scale complicity. All of these scientists have enabled the politicization of the IPCC, and their silence up to this point has been deafening. But then maybe that’s not surprising, given the wall of silence surrounding the supposed science in Gore’s Academy Award and Nobel Prize winning crockumentary “An Inconvenient Truth”. You don’t need conspiracy when silence is this effective. I’d say it’s in the serious part of NASA, and not in the Fraud Division. Don’t let one rotten part soil your opinion. But this is how science is done. Nay; this is how PR is done. Science, verily, research conducted in the method that resulted in this ‘falsehood’ being reported, promulgated by so many “Big Climate” climate scientists and ‘heathen’ pro-AGW websites? Pls; don’t make me laugh any harder than I already am!!! “In fact this was pointed out to Gavin at Real Climate and all he could say was that it was a mistake which was rectified. This most important issue of having access or not having access to water for 40% of the world’s population for Gavin is just worth these 3 lines of cynism. Just “an error”! What sort of attitude drove Gavin Schmidt to make this extreme inhumane remark? What sort of attitude drove the IPCC to deal with this issue of life or death of billions of human beings with this extreme negligence? Jimi, I find the skepticalscience website to be a big load of turd. He has some of the poorest arguments for global warming I’ve ever seen. My suggestion is that if someone sees and error in a government website or publication that you concisely document why you consider it to be an error and then submit a polite request for correction. If the informal request for correction is not acted upon appropriately, then submit a formal Request For Correction per the Quality of Information Act. I am not a climate scientist. I am a retired electrical engineer and a grandfather. But I have sufficient understanding of the facts and issues to spot what appear to be erroneous or alarmist statement. I you have enough facts to post a comment on a blog site about an error on a government publication or website, then you should be submitting your request for correction directly to the government agency that is disseminating bogus information. The end result of Mao Stlong’s AGW Fraud. AGW is a cover/proxy for Mao’s shakedown/extortion racket. in Canada, Ontario Liberal Premier McGuinty pay$$$$*$$$ …. NEW DELHI — Brazil, China, India and South Africa called Sunday for developed countries to quickly begin handing over the $10 billion pledged in Copenhagen to poor countries to help them deal with the effects of climate change. The first funds should go to the least developed countries, including small island states and African countries, said Xie Zhenhua, China’s top climate change negotiator after a meeting of the representatives of the four nations in New Delhi. Now now, Unix is user-friendly, it’s just abnormally picky about who to befriend. My first significant program in it used a graphics package and a timer event handler to drive everything. I wrote it on Linux and was astounded that it worked first time on Windows after installing Python and the graphics package. I think HP Windows boxes come with Python for some of HP’s administrative tools, so Python may be available out of the box. Even NASA GISS recognizes Python is useful, a learning experience for E.M. Smith…. The built in tools let you do so many thing with just a few keystrokes even if you never thought you would need to do it. /A Displays only first and last lines for each set of differences. /B Performs a binary comparison. /C Disregards the case of letters. /L Compares files as ASCII text. /N Displays the line numbers on an ASCII comparison. /T Does not expand tabs to spaces. /U Compare files as UNICODE text files. /W Compresses white space (tabs and spaces) for comparison. Redirects of output using pipes are of course supported too. The page is NOT maintained or generated by GISS. NASA is a large organization and it appears that different sections have their own cultures. The climate.nasa.gov pages are part of the Earth Sciences Communications Team at JPL NASA or or perhaps contractors to JPL. GISS is not involved, and indeed the JPL team has chosen to use the CRU global average temperature time series rather than the GISS time series. 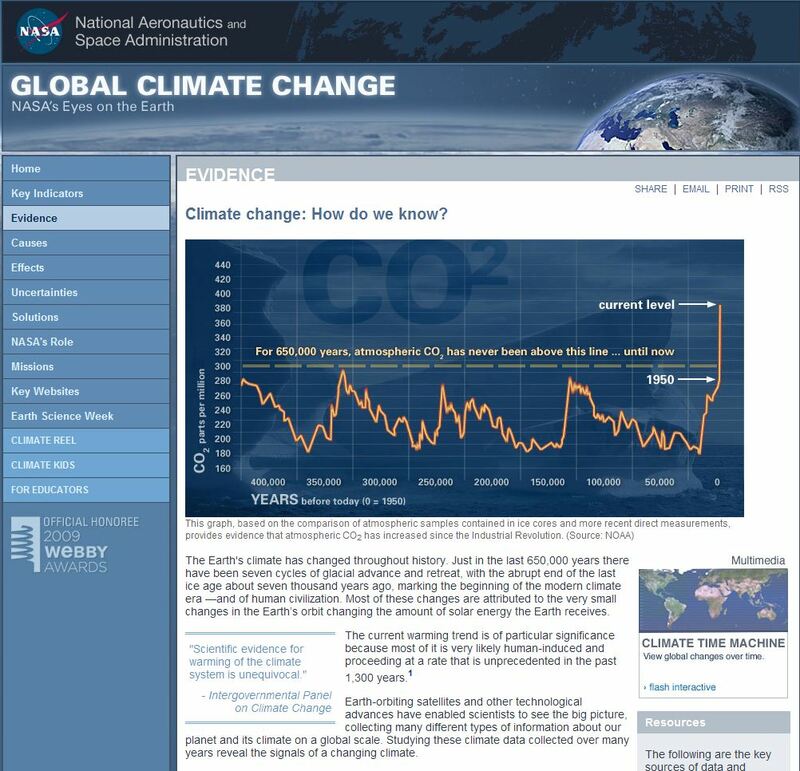 The climate.nasa.gov website appears to be generated and maintained by non-scientists with a pro-AGW bias. On the other hand, the JPL group erroneously used a graphic from the NASA SVS (Scientific Visualization Studio). The graphic was of Arctic Sea Ice AREA, but was labeled by JPL climate.nasa as representing Arctic Sea Ice EXTENT. I inquired to SVS as to what exactly the graphic portrayed and they quickly contacted the appropriate scientist for clarification. Since they inadvertently left me on the distribution list (“reply all” can be embarassing) of their internal back and forth, I could clearly see that both SVS and the NASA snow and ice scientists were focused on science, and on getting good, correct, unbiased info out to the public. GISS may have their problems, but it is incorrect to blame them for the mess at climate.nasa.gov. It is interesting that the POLITICAL webswite, http://www.realclearpolitics.com, has two articles (WSJ editorial and Booker, Sunday Telegraph) listed on it about glaciergate. And we still hear that CAGW is about the science, stupid. Gbreton —- now that you have made your comment here, go click on the feedback link to the Site Manager at the bottom of climate.nasa.gov/causes/ and submit your feedback. If they fail to correct the error, then submit a formal Request for Correction. Don’t make Anthony Watts, Steve McIntyre and others do all the work. We should each take the couple of minutes it takes to request corrections of errors whenever we see them. Thank you for noting the omission of water vapor as a GHG, as I am in discussion now with NASA HQ, trying to convince them that they have a systemic problem with the content generation and review at that website. So far, they have declined to do anything other than fix most, but not all, of the specific errors I have pointed out. More bad news for the EPA. It will be interesting to watch when NASA discovers this and disappears the disappearing, too. Must have been due to homogenization and from using Mumbai’s temperature ground-stations to get the temps up in the glaciers. My thought is only the Mars rovers program is led by science at NASA. Look at the shuttle program, wasn’t it politics overruling science that led to both the Challenger and Columbia tragedies? Why is NASA dealing with ground-stations anyway? Shouldnt NASA be out there in space? I think that division should be separated from NASA all toghether, so that NASA avoids being embarrassed by these people again and again. They seem unable to use logic to separate cause and effect, and will therefore forever be an embarrassment. What is this thing about Al Gore inventing the Internet? Sir Tim Berners-Lee and the CERN ENQUIRE network pioneers cannot be impressed. It seems like one of the corollaries of the internet is the propagation of non-authorised memes and unofficial views. Without the web, we would have no knowledge that the AGW arguments are in such a piss-poor state. Hey what do you want, it fuzzes the lie a little so it looks like independent research being done. Can’t possibly be ‘not true’, NASA’s number is almost the same. “I’d say it’s in the serious part of NASA, and not in the Fraud Division. Light this Candle-Ad Astra! No navel gazing!.. retired, or in prison for war crimes, or dead. Those smart scientists, also got sucked up in evil politics… in WW2 Germany. NASA has also completely removed the IPCC report as their reference and replaced it with the World Glacier Monitoring Service web page. No, I will not. As DirkH’s comments above show, the 21 time more powerful appears to be within the range commonly used as the multiplication factor. I suggest that you investigate a bit more to see if the EPA statement really is erroneous. But if you have investigated enough to be sure that it is an erroneous statement, then YOU should inquire. You don’t have to be a US citizen to make either informal requests for correction or requests for clarification. Nor do you need to be a US citizen to make a formal Request For Correction per the Quality of Information Guidelines. I’m also pretty sure that citizenship or place of residence has no bearing on the requirement of US government to respond to Freedom of Information Act requests. There are no special qualifications or restrictions on who can make requests under the FOIA and Quality of Info acts. Common courtesy simply requires that we not waste peoples’ time with frivolous or bogus requests, or requests whose purpose is solely for harassment. These procedures are available for use by all of us. I highly recommend that we more fully utilize them. I paid in pounds but one can pay in dollars or euros. You have to download adobe digital editions and should register/activate that to give access from more than one computer. Recommend doing that first, then downloading from Lulu, which gives you the file: URLLink.acsm. Once you have that, double click it and digital editions will fire up and dowload the actual .pdf, which is stored in My documents in the My Digital Editions subfolder. Another great lump has fallen off the IPCC’s global warming propaganda machine. The United Nations’ climate science panel is facing further embarrassment after claims it incorrectly linked global warming to a rise in natural disasters. The Intergovernmental Panel on Climate Change claimed in 2007 that the world had “suffered rapidly rising costs due to extreme weather related events since the 1970s”, suggesting that part of the increase was down to global warming. But the scientific paper on which the IPCC based its claim was allegedly not peer reviewed or published by the time the report was issued. When it was eventually published in 2008, it came with the caveat: “We find insufficient evidence to claim a statistical relationship between global temperature increase and catastrophe losses”. Despite the concession, the IPCC failed to clarify the statement ahead of last month’s Copenhagen summit. The claim formed a central argument at the climate change conference, where African nations demanded £62 billion in compensation from rich nations responsible for the highest amount of carbon emissions. Jean-Pascal van Ypersele, vice-chair of the IPCC has now conceded that the evidence will be reviewed. “We are reassessing the evidence and will publish a report on natural disasters and extreme weather with the latest findings,” he said. Roger Pielke, professor of environmental studies at Colorado University, who commissioned Dr Muir-Wood’s paper, told The Sunday Times: “All the literature published before and since the IPCC report shows that rising disaster losses can be explained entirely by social change. People have looked hard for evidence that global warming plays a part but can’t find it,” he said. Now make your old HS Earth Sciences teacher proud and submit a request for clarification. Click on “Site Manager: Randal Jackson”, down at the bottom right corner of the webpage. Enabling AGW/Hansen is not a good “sign”. Not immediately acting to save itself means it can’t. I’ll give them two weeks. This is a gigantic political issue, too. CNN has figured it all out. They have a bar chart that tracts most viewed articles. A new McDonald’s bar opening up in some town got way more views yesterday than any other item. That would make news about glaciers coming or going WAAAYYYY down the list. It ain’t them folks, it’s us. oops. Gotta go. Meeting some friends down at that new bar! These revelations of these IPCC scientific errors alone are enough to overturn the Massachusetts v. EPA decision of 2007. The ruling in favor of the EPA required that there be an injured party and the first injury mentioned was the “…global retreat of mountain glaciers…”. Later in the injury passage there was an observation that “…rising ocean temperatures may contribute to the ferocity of hurricanes.” Both of these IPCC conclusions that the majority opinion were based on have been proven wrong. In case the facts alone are not enough to revisit the decision the Climategate scandal should be enough. The science was not argued to the Supreme Court. The case was based on an appeal to authority argument where the IPCC was the authority. The Climategate emails have left the moral authority of the IPCC in tatters. I just want to thank all of you at Watts Up With That? who have kept us informed. Thank you!! (I’m giving you a virtual hug)…. there! It is pretty scary when a US science agency appears to have adopted witch craft at the expense of science. If glacier melting is misleading, if the connection between global warming and natural disasters is misleading, if scientists intentionally “hide the decline”, then at what point do we throw in the towel on the entire notion of global warming as say the science is simply too corrupt to know whether or not it is correct? They are still calling Kilimanjaro’s snowcap “disappearing”, which is also typical of their generally biased and loaded writing style. I haven’t seen any specific date on when it actually will disappear, unlike their earlier certainty about the Himalayan glaciers. It seems that one equatorially-situated mountain might be more easily assessed than hundreds of glaciers in the highest mountain range in the world. Recent evidence, as most of you already know, has indicated the snow cap is being ablated by dry winds, rather than melting as the alarmists had maintained. The snowcap has been shrinking, but it hasn’t disappeared, and if further climate change brings more snow to it, it might grow again. They are still on a full court press, despite a couple of setbacks. Dan Rather got burnt by a memo regarding GW Bush that was “fake but accurate”. I think in this case, NASA is “accurate but misleading”. In much of the climate.nasa.gov pages NASA conflates _anthropogenic_ global warming, global warming, and climate change. The disappearing Mt Kilimanjaro snowcap is a sign of climate change. It is misleading to imply that it is a sign of AGW. Remember that the disappearing Mt Kilimanjaro snowcap (and the 2030 himalaya glacier disappearance) are on a page purporting to be EVIDENCE of (anthropogenic ???) global warming. The NASA pages have many outright errors. I have been requesting corrections of only the most egregious errors, with the end goal of forcing NASA to clean house on their own. However, you are free to request clarification and/or correction by clicking on the feedback link to the site manager that is located at the bottom right of the webpage. It is much easier to get individual gross misstatements corrected than it is to force a change in the overall tone and bias. Mt Kilimanjaro falls more into the bias category. I’ve found it strange that Hansen (NASA) started pushing global warming in 1988, the year that Richard Feynman died. I think that if Feynman had been alive, AGW would have not gained the traction it did. Just seems a strange co-incidence given that Feynman had just raked NASA over the coals. Charlie A. The NASA site under “Evidence” also has the standard Chart for Atmospheric CO2 levels for the last 650,000 years as evidence of the current level of CO2 being forced by Man, because it had been fairly stable. They neglect to mention the Millions of years prior to that where it was 10 times higher than now without any interference from Man at all, and which included an Ice Age when CO2 was 4000ppm. I’m been discussing this issue with many others who have told me that the 2035 mistake has been known since around 1999. If this is true, then why are there so many stories on google that describe the 2035 date? When NASA said 2030, they meant in metric years, not regular years. CAGW is augering in. There are a few folks left at NASA who know what that means. It might be time to abandon that particular ship, eh boys? I correct myself, I did not check enough “peer reviewed” information. No German Rocket Scientists ended up in prison for war crimes that I can find, I thought Rudolph did, but he was only accused and not prosecuted. He did lose his US citizenship and medal of honor and had to move back to Germany. I confused him with someone else, however many of the German scientists resumes were “whitewashed” of “unacceptable associations” as defined by Harry Truman, thus clearing them for work at NASA. Apologies for my inaccuracy. still to this day… Why did NASA toss the blue prints in the dumpster?
? more stupid scientist tricks ? For all glaciers in the monitoring system, the last survey year was 2007. Many glaciers haven’t been monitored past the 80’s. The number of surveys done have varied from just a few to maybe a dozen. Monitoring was done at different times of the year. Etc. The condition of the data in terms of being able to aggregate it would be a nightmare for any learned statistician. I wouldn’t want to live on the difference between data error and natural variability. As for patterns that could be correlated to AGW, forget it. The data pool is worse than temp sensors. Is this the same NASA to whom we are entrusting the lives of our Astronauts? I’ll take the part that boldly goes where no man has gone before: the AGW division is a bust. Tony B – Here’s one that’s been right before our eyes. If NASA corrects things on it’s site, being that it is a public agency, I think it should be required to have a corrections page. We have the right to know when NASA corrects things and the reasons why. N2O is laughing gas, methane is CH4. Just in case. The real point behind the NASA story isn’t that they removed the IPCC reference it is that they could’nt even faithfully reproduce 2035, seeking to make it even more alarmist by 5 years, a preposterous assertion for a scientist of James Hansen’s reputation in the first place. One is reluctantly forced to conclude that if NASA/GISS can falsify a simple transposition of data, what weight should we put on their scientific record? Even if there was an AGW case, the data bases must now be viewed as so corrupted as to be meaningless. Oh what a tangled web we weave…….. The science settled during shipping and handling, like cornflakes. Thanks for keeping the spotlight of truth focused on the scoundrels that feed at the trough of public funds and sleep with the politicians who use manufactured “scientific facts” to control and manipulate the people. Despite the warning, the alliance flourished and has been manipulating and distorting space age data at least since lunar samples were first returned to Earth by the 1969 Apollo Mission to the Moon. On June 26, 2008 I went to the National Academy of Sciences Building in Washington, DC to warn members of the Space Science Board about involving NASA in fraudulent claims of global warming. In addition to journalist Marc Kaufman of the Washington Post and Alan B. Mollahan (Chair of the House Appropriations subcommittee that funds NASA and NSF), were Dr. Ralph Cicerone (NAS President) and as I recall, these Space Science Board Members – Claude R. Canizares (Former SSB Chair), Alan Dressler, Lennard A. Fisk (SSB Chair), Fiona A. Harrison, Charles F. Kennel (Incoming SSB Chair), Louis J. Lanzerotti (Former SSB Chair), Molly K. Maculey, Vera Rubin, Joan Vernikos, and A. Thomas Young (SSB Vice-Chair). It is regrettable that NASA’s image has been foolishly tarnished by continued involvement in fraudulent claims of CO2-induced global climate warming. While the paragraph i quoted talks about N2O, i quoted it because it explains how these factors are made up: It is not the case that N2O or CH4 have bigger absorptive power than CO2 but that they are assumed to persist longer in the athmosphere. BTW i don’t believe these assumptions per se. Whenever a number is not exactly known, the IPCC will use the highest reasonable guesstimate and in some cases multiply it with a hundred. It would need a trustworthy study, not peer reviewed by The Team but by somebody else to even raise the possibility that these long persistence times are even remotely justified for me. Remember: Never trust a number from the warmists. I like what NASA’s Space division is doing. It’s very ugly what NASA’s GISS has been up to, getting into bed with the likes of climate flim-flam artists. Well said. It is no surprising because much of the so-called evidence for global warming has been either anecdotal or based on opinion without a through peer review. Perhaps, our logo for the denier tee shirts could be that poor polar bear sitting on an ice floe waiting for his girl friend with the slogan the science is scuttled. The problem with much of mean green movement is they are their own truth detectors and will not listen to conflicting information. It appears that the WUWT kids are about to kill the goose that lays the carbon footprint. A lie is still a lie. How can they be so stupid to think that we have lost our copies of what they write and say? I spent 24 hours at the Guardian Monbiot article, posting facts. None of the believers even addressed them. But their tenacious zealotry was remarkable. Read Arbuthnot’s comments. He spent more than 24 hours pounding them silent, one by one. At the Guardian! gatekeeper to the Myth. We will get taxed anyway……. Can someone answer something for me? 84% of ALL the world’s glaciers are in the Antarctic – FACT. As far as I am aware these glaciers are not melting. So, does that mean that the vast majority of the world’s glaciers are NOT melting. Or are many of the Antarctic’s glaciers melting, even though the temperature drop requirement would surely be huge? Anyone know? From the ‘Al Gore’ school of poetry I presume. Much is made of local climates like the Himalayas and Switzerland. But out of the planet’s 160,000+ glaciers, only a tiny percentage are tracked. Furthermore, there is zero evidence that CO2 levels have any effect on glaciers. Aside from the requirement that the local climate remains below freezing, precipitation at higher altitudes has the greatest effect on glacier growth. Glaciers – frozen rivers – are fed by snowfall at higher levels, which is a function of the local climate – not of global warming. How can they be so stupid to think that we have lost our copies of what they write and say? They have misconstrued so much they have completely lost track of how much is real and how much has been grossly exaggerated. Lately, we have begun to see how out-of-touch they have become through the mirage of thier own hysteria. They believe their own alterations. Does NASA even look at thier planetary science anymore? My general rule is not to assume evil intent when stupidity, carelessness, or cluelessness suffices as an explanation. We need to keep some perspective on what the climate.nasa.gov site is. It is not a scientific data site run by GISS. It is not a place where NASA scientists present their findings. It is a public outreach, public education site. There are subsections specifically targeted at teachers and sections for kids. It is the sort of thing that journalists would also use for general background info. This sort of site, even though it is not central to climate science itself, is important in its effect on general public knowledge and its affect on the general discussion of climate change. Anthony Watts and others have chosen to focus on reviewing and auditing the hard science portion of the climate change industry. I, with a much less detailed understanding of the science, have chosen to do what I can to ensure that what NASA and other US governement agencies popularize and promulgate to the masses matches up with the actual science. I don’t know who generated the content of the website, but to me it appears that it was done by a typical journalist or public relations writer that doesn’t have much knowledge of science. It also appears the the writer(s) of the website bring with them a strong pro-AGW bias which shows up in their ready acceptance of statements such as the 2030 disappearance of Himalayan glaciers, or saying that the rise in temperatures over the last 50 years is twice the rise in the previous century. I would like to suggest that a more powerful way to affect the overall tone of the public climate change discussion is to review government websites like this; and point out and get corrected both errors and unsubstantiated claims. My assumption is that the majority of readers of WattsUpWithThat, although they may not be climate scientists, do have sufficient understanding to identify potential errors and unsubstantiated claims; do have the motivation to do the literature searches to see what is actually in the scientific literature; and have the boldness to take that final step and submit requests for change. Don’t just complain in blogs. Take direct action and contact the government organzations and request corrective action when they promulgate erroneous or unsubstantiated information. I agree. I checked the NASA site out earlier today. It sources questionable claims back to the IPCC report, not the original source. Another poster on this site said that they had numerous hits of WWF listed as sources in the IPCC report in question. Some seemed pretty far fetched. It looks like NASA, and perhaps others are now using the IPCC report as a washing machine to cleanse far out assertions, and then calling it “evidence”. Right on, Charlie! It’s the electronic equivalent of “storming the gates” to let our government — who are employed by us and and are there to serve us with diligence — know when they are off-base and out of touch with the real world. AGW thinking/ policy/ science/ religion/ whatever is WAY OUT OF CONTROL. We MUST speak up as you suggest or only blame ourselves for the government we get. Thank you for that correction Charlie A. While it relieves GISS of blame for deliberate fraud it enhances my point about the alarmosphere being engaged in a game of Chinese whispers in which each other’s alarmist claims are quoted as primary data & exagerated. Ummm, you need to re-think your Google adds. I’ve been noticing that Google has been putting pro AGW adds on blogs and webpages that are proving that the whole thing is a hoax. Am I the only one who is glad that they are at least attempting to fix known problems on their web site? Even if it’s for the wrong reasons, and even if they are still openly alarmist, they are better than young-earthers and moan-hoaxers in the fact that when something is known to be openly wrong, they remove it. Removing information proven to be false proves nothing aside from the fact that they have a diligent webmaster. Well that was the Engineers that put a man on the moon; NOT the scientists. And I’m sure many of those engineers are still gainfully employed somewhere. It’s the scientists who have to make up something els to work on for their grant money. Engineers don’t get grant money. Other than this evidence of global warming being on a page that seems to be claiming to be evidence of CO2-induced anthropogenic warming, the above statement seems reasonable. Any comments? Should NASA be further correcting this statement? “Well that was the Engineers that put a man on the moon; NOT the scientists. Regretably not – the very youngest will be reaching retirement age. The eco-fascists insisted we shouldn’t spend money in space until all problems on Earth had been solved.